Kat and Karl : b standing in front of her art! b standing in front of her art! b standing in front of some of her artwork! so i finally got to see brooke and paul's house! about time! 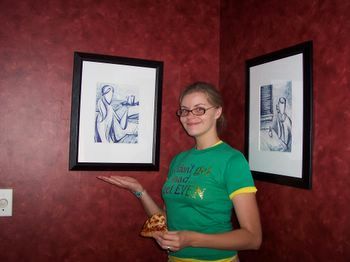 this is a shot of b in her fabulously red dining area w/ some of her framed work.